Preimplantation Genetic Diagnosis-PGD is an innovative technique that is used in screening the genetic-makeup of an embryo before embryo transfer . PGD can be very useful when a couple knows that they have certain genetic disorders. It can also help in cases where couples want to screen for possible genetic disorders while the IVF treatment is in progress. In a woman, advancing age increases the chances of genetic abnormalities in the embryo. Once she moves beyond the mid-30’s age range, almost 60% of the embryos created are abnormal. As time passes, this percentage rises. In this context, advancing age becomes one of the most significant hurdles in the success of the IVF procedure. PGD is an advanced technique that allows doctors to prevent a range of diseases such as sickle cell anaemia, thalassemia, Duchenne muscular dystrophy and haemophilia. It is also very useful in allowing doctors to select chromosomally normal embryos in women above 35 years of age. This is called Preimplantation Genetic Screening (PGS). The genetic information that is sourced via this innovative procedure can be extremely useful for patients who face recurrent pregnancy loss. It also allows doctors to be sure that they are using genetically-normal embryos. With improvement in the success with PGD, a larger number of people have now begun considering genetic-testing to complement their IVF cycle. Over the years, there has been a significant improvement in freezing of embryos, accuracy in genetic testing and embryo biopsy techniques and there is now a larger acceptance of Preimplantation Genetic Diagnosis procedures. Today's patients are much better informed when it comes to understanding IVF techniques, terminology and treatments. They access information via the internet, read books related to the topic and have some basic knowledge about all these things. But the human body and the manner in which it functions, is not as simple, and only an experienced IVF doctor will be able to tell you whether you need PGD. There is no doubt about the fact that PGD is a very effective tool, but the sad truth also is that there is a lot of marketing hype attached to it. It is presented as state-of-the-art technology that is slowly nudging older and proven techniques into the shadows. Clinics that don’t offer this find themselves at a disadvantage as patients who can afford newer (and needless to say, more expensive) treatments, throng to clinics that tout use of these technologies. Patients who are conducting research may stumble upon success stories of patients who have gone through a series of failed IVF cycles and then had a successful pregnancy after going to a clinic that conducted PGD for them. It becomes very natural for them to assume that the PGD made the procedure successful. It’s not really possible to pinpoint with 100% surety and say that it was the Preimplantation Genetic Diagnosis that was responsible for success of the IVF procedure. It could have just been a case of “nth time lucky”, but PGD takes the bow and so does the clinic that performed the screening. Is PGD Recommended for all Patients? An IVF doctor may recommend PGD to patients who have gone through multiple miscarriages or recurring unexplained IVF-embryo implantation failure. The age factor is could be a deciding one too. 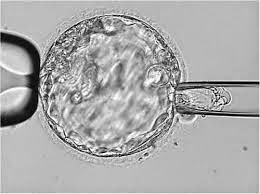 PGD is generally available to patients who produce 6 or more embryos via IVF. If you are deciding to pursue this genetic screening process, it is important for you to meet your IVF doctor before your cycle. This will help the doctor ensure that you have a 360° view of the genetic-evaluation process & the potential ramifications. As part of this process, the parents have to provide a cheek/blood swab sample to the genetic lab where they will prepare & validate the patient embryo samples that they will receive later. This procedure is an extremely delicate one and an unskilled embryologist can easily kill an embryo while PGD is being done. If you need Preimplantation Genetic Diagnosis, this makes it very important for you to look for a competent IVF clinic. Want to make sure whether you are a suitable candidate for PGD? Please send me your medical details by filling in the form at www.drmalpani.com/malpaniform.htm so that I can guide you in a better way!